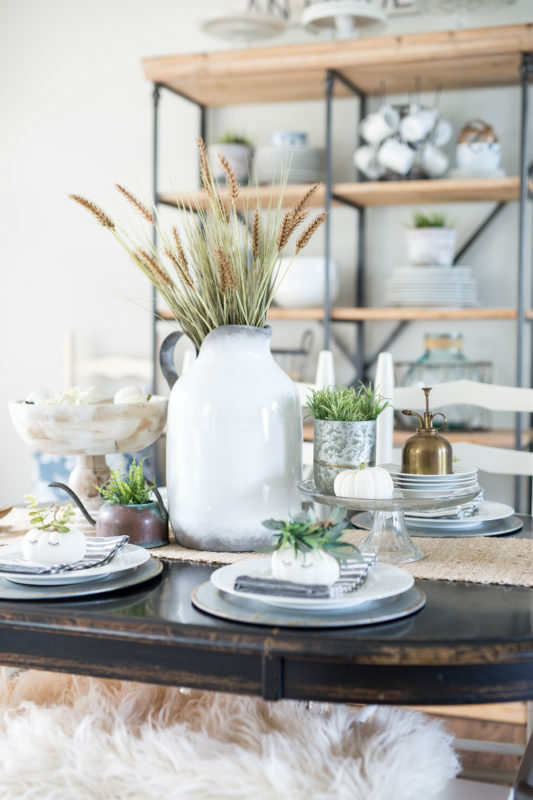 It’s so fun for me to be able to recollect the different ways I’ve decorated the dining room table and share them with you, so let’s take a peek! My most recent centerpiece (and the one currently on my table) is this white pitcher filled with shoots of wheat. I like the simplicity and neutral fall colors. I used some mixed metal pieces and white pumpkins to compliment the simple centerpiece. 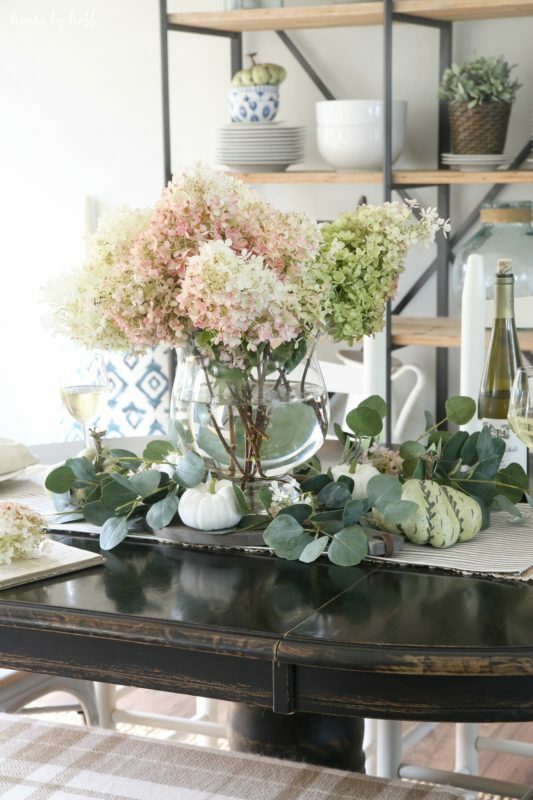 Last year I created this DIY Fall Centerpiece with an old crate, some hydrangeas from my backyard, and some fake sprigs of eucalyptus and lamb’s ear. 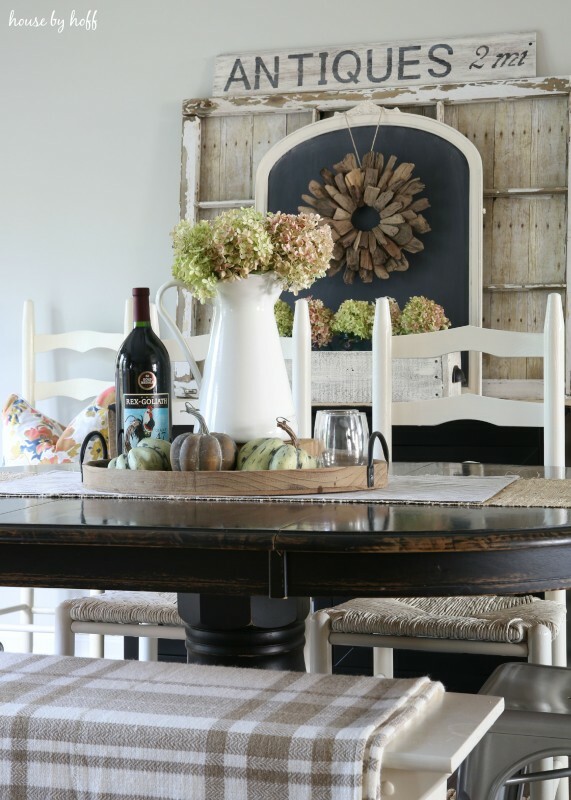 I love this rustic and beautiful look! Speaking of hydrangeas from the backyard, two years ago I filled an over-sized vase with them. 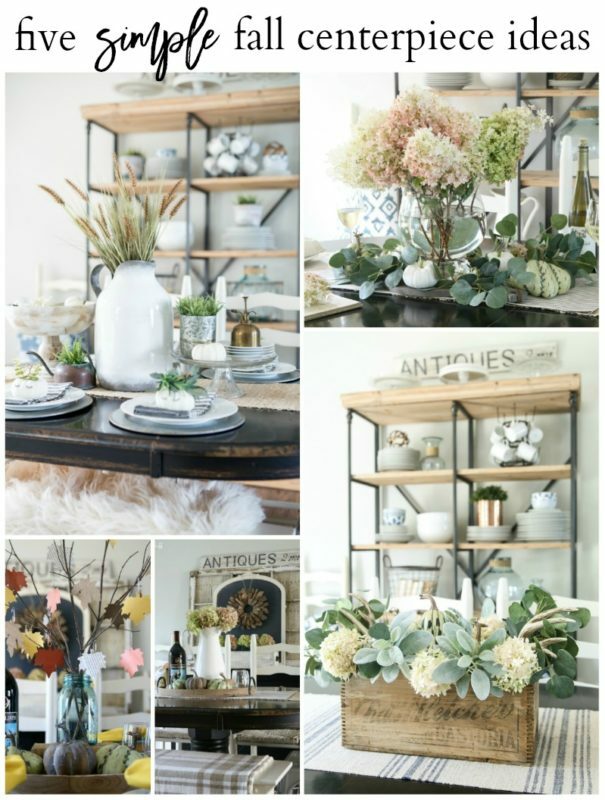 You really could stop there, but I wanted some more drama, so I added some eucalyptus leaves and fake pumpkins to the table. 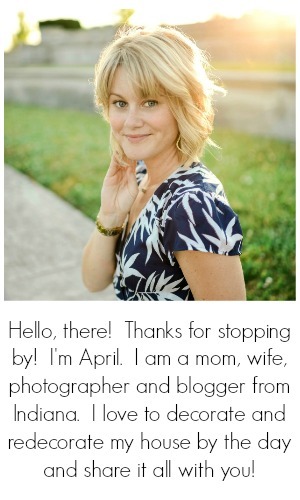 See the whole look here. Okay, okay. 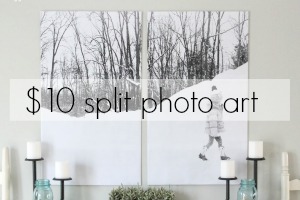 This next idea isn’t really “simple,” but it’s perfect for those looking for a festive fall centerpiece idea! 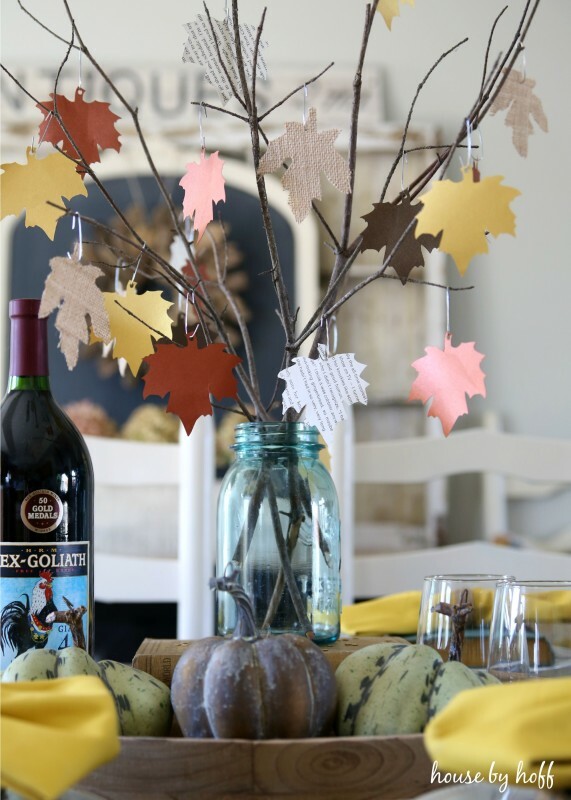 😉 This DIY Paper Leaf Tree is just so darling and fun! My last simple fall centerpiece (from three years ago) circles back around to those beloved hydrangeas! 😉 I used a simple wood tray and white pitcher to create a little vignette on the dining room table. 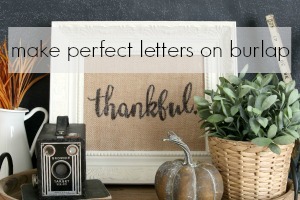 I hope you enjoyed looking back at some of the simple fall centerpieces from the past few years! They’re all beautiful, but I think my favorite is the white pitcher with wheat! 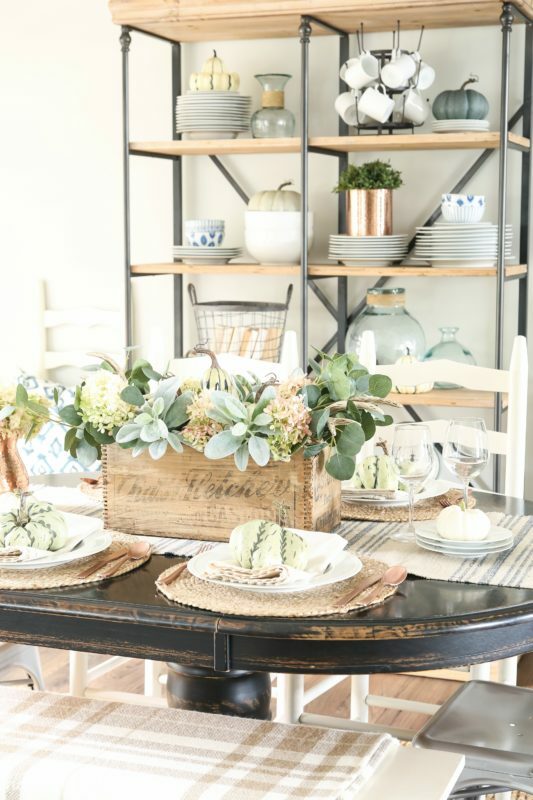 Also, do you possibly have a link for your farmhouse / rustic shelves behind your table? I love them!